Beautiful material design digital face with 10 colorful themes and Ucolor text. 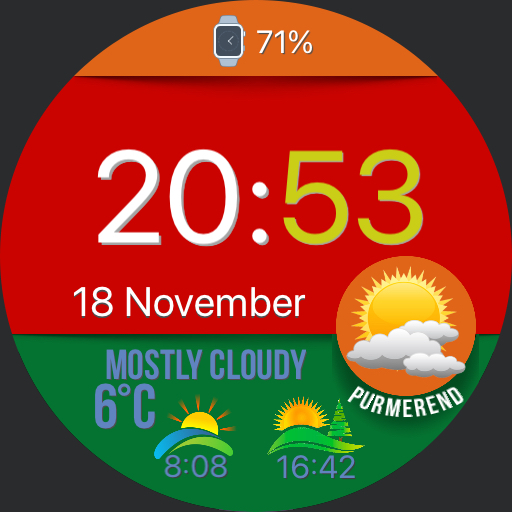 Weather, battery, sunrise and sunset. Tap top for Agenda, tap left or right to change color theme, tap middle UColor, tap down to make bottom white.